You can find this cute emergent reader HERE! 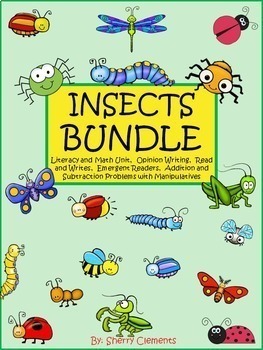 This product is now available in an Insects Bundle. 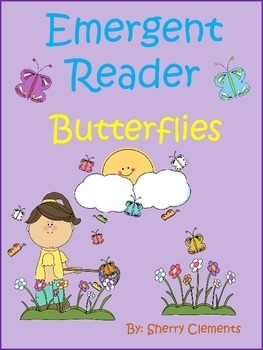 This emergent reader, “Butterflies” is connected to several CCGPS listed below. This 13 page book is designed so that you can copy the book, cut it in half, staple, and then it is ready for use. The 13 pages include a title page “Butterflies” then each of the remaining 12 pages contains black and white pictures at the top of each page and a sentence under the picture. This emergent reader focuses on a variety of sight words including: look, at, the, on, here, is, he, this, we, see, likes, now, can, with, put, my, pretty, will, go, in, and are. Look at the preview to see each page included. Page 2: Look at the egg on the leaf. Page 3: Here is the caterpillar. He is hungry. Page 4: This is a chrysalis. Page 5: We see a pretty butterfly. Page 6: The butterfly likes the flowers. Page 7: Now we see a lot of butterflies! Page 8: We can catch a butterfly with our nets. Page 9: I put the butterfly in my jar. Page 10: I can look at my pretty butterfly. Page 11: I will let the butterfly go. Page 12: The butterflies are in the rain. Page 13: The butterflies are in the sky. They are pretty! Students can benefit from this reader by tracking print, identifying spaces between words, identifying particular letters of the alphabet, recognizing sounds (beginning, middle, and ending) in each word, and reading sight words and grade level text. For extension activities, students could add another sentence to each page to add details. The black and white pictures allow students the opportunity to color the pictures. This reader is great for guided reading groups, homework, or literacy center activities. ELACCKRF1a. Follow words from left to right, top to bottom, and page-by-page. ELACCKRF1b. Recognize that spoken words are represented in written language by specific sequences of letters. ELACCKRF1c. Understand that words are separated by spaces in print. ELACCKRF3a. Demonstrate basic knowledge of one-to-one letter-sound correspondences by producing the primary or many of more frequent sounds for each consonant. ELACCKRF3c. Read common high-frequency words by sight. ELACCKRF4. Read emergent-reader texts with purpose and understanding. link to like my page to be notified when I post new products and many FLASH FREEBIES!